MARION COUNTY — One person died in an accident just before 5p.m. Wednesday in Marion County. 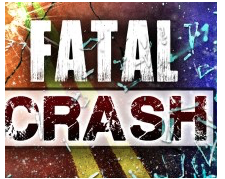 The Kansas Highway Patrol reported a 2000 Chevy pickup driven by Shelbi E. Kind, 22, Wichita, was westbound on U.S. 50 at Turkey Creek. The vehicle crossed the center line and collided head-on with an eastbound semi. Kind was pronounced dead at the scene. The semi driver Daniel I. Coyle, 56, Hillsboro, was not injured.